Convert multiple JPEG at the touch of a button. Stop working on a file-by-file basis, Convert all your images simultaneously. Converting JPG offline, means they don't leave your system, allowing you to convert locally and ensuring file security. No Internet needed, the best offline JPEG to PDF converter software. Select and add your files easily with drag and drop feature. 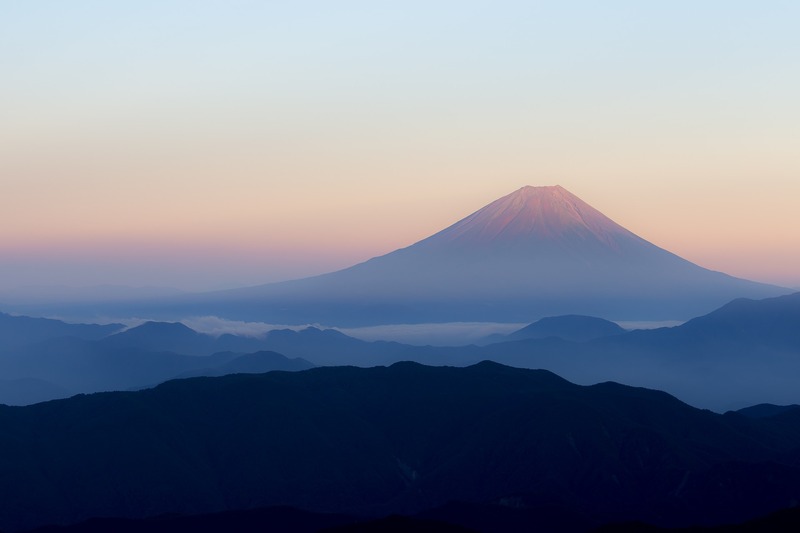 You can apply to save each JPG as a single PDF or combine all JPEG into one PDF document. Move JPEG file up or down by clicking “Move Up” and “Move Down” button to reorganize the order. The fastest and most versatile conversion program today’s software industry can offer. With the help of this tool, you can convert thousands of JPEG files to PDF documents in batch on your PC. If you have multiple JPEG images to convert into PDF, there is hardly a better conversion utility in the whole world than this JPG to PDF Converter. JPG to PDF Converter has a number of options that will make your daily work into a pleasure ride. 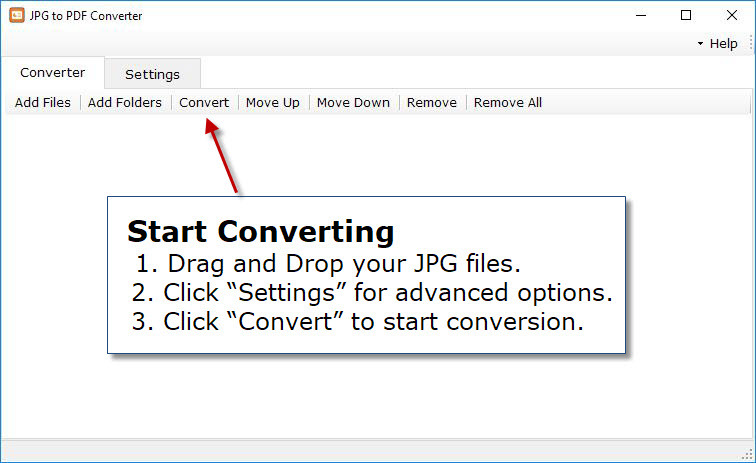 You can mark more than a thousand of JPEG files for conversion and it will take just one click of a button on your part and a couple of seconds on the converter’s part to render them all in PDF. To start working, lunch JPG to PDF Converter. Select folders or files, drag and drop them in the conversion list. You can either leave the default options or make your own options. Once you are through with the options, click Convert button. If you are looking for the easy way of how to convert Image to PDF, use JPG to PDF Converter – a user friendly windows program with advanced options that allow to batch convert JPEG into PDF files in a way you want. In the options you can select convert one JPG file to one PDF file or merge all JPG files to one PDF file. You can also set the quality percent for the JPG file. It has a robust and user friendly interface, which makes it very easy for even a beginner to change JPEG to PDF. Bulk conversion saves time and simplifies the procedure of converting JPG to PDF format. JPEG stands for Joint Photographic Experts Group. It is a standard method of compressing photographic images. JPEG is mostly used for storing and transmitting photographs on the World Wide Web, but not as well suited for line drawings and other textual or iconic graphics because its compression method performs badly on these types of images. Sometimes you need to convert JPEG files to PDF documents. Portable Document Format (PDF) is a file format developed by Adobe Systems for representing documents in a manner that is independent of the original application software, hardware, and operating system used to create those documents. A PDF file can describe documents containing any combination of text, graphics, and images in a device independent and resolution independent format. These documents can be one page or thousands of pages, very simple or extremely complex with a rich use of fonts, graphics, color, and images. PDF is an open standard, and anyone may write applications that can read or write PDF royalty-free. Some users prefer to turn JPEG to PDF in order to save disk space and ease file transmission over the Internet. How to convert JPG to PDF in batch? How to combine multiple JPG to PDF in Windows? How do I change a scanned JPGs to a PDF file?